We extend a hearty thank you to all our worldwide clients and friends, and a note that we are proud to have partnered with each of you. As a note of distinction, CRADDOCK was the first consulting company to provide drilling supervision to the Libyan National Oil Company (UAJ), the Nigerian National Oil Company, and the Italian State Oil Company AGIP (ENI). *Completion program for the deepest well drilled in the State of California at 24,424 feet. 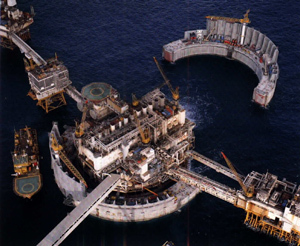 ODFJELL DRILLING & CONSULTING CO (UK) LTD. Shell Petroleum Development of Nigeria, Ltd. Shell UK Limited, E & P.
SHELL WESTERN E & P, INC. U.S.A.
VERENEX ENERGY AREA 47 LIBYA LTD.